That’s Diana Hamilton’s approval rating for her $5,000 Smile Makeover from Henritze Dental Group, when asked if going through the procedure to give her a new smile was worth it. Hamilton responded to a Facebook advertisement to win the Smile Makeover from Henritze Dental Group and was thrilled with the results. She had suffered from a host of dental issues that were causing her both physical and emotional pain. Missing teeth prompted her to cover her mouth with her hand when she spoke or laughed, and she was so distraught she couldn’t even talk with her daughter about the condition of her teeth. “A lot of people who know me, who’ve known me a while, don’t know how bad it was because I don’t talk about it, I don’t show it,” Hamilton said. That all changed when she walked into the office of Henritze Dental Group nearly three months ago to start the process of receiving her new smile. She was more than thrilled with the results. The procedure giving Hamilton a new smile also helped alleviate her physical pain. “My headaches are gone,” she said. “I’ve lived with headaches for fifteen years and I haven’t had one since.” Hamilton mentioned she does have a new type of pain — a happy pain — because she’s using her cheek muscles like never before to smile so much. The happiness with her new smile is not lost on Dr. Andrew Henritze, Founder of Henritze Dental Group. 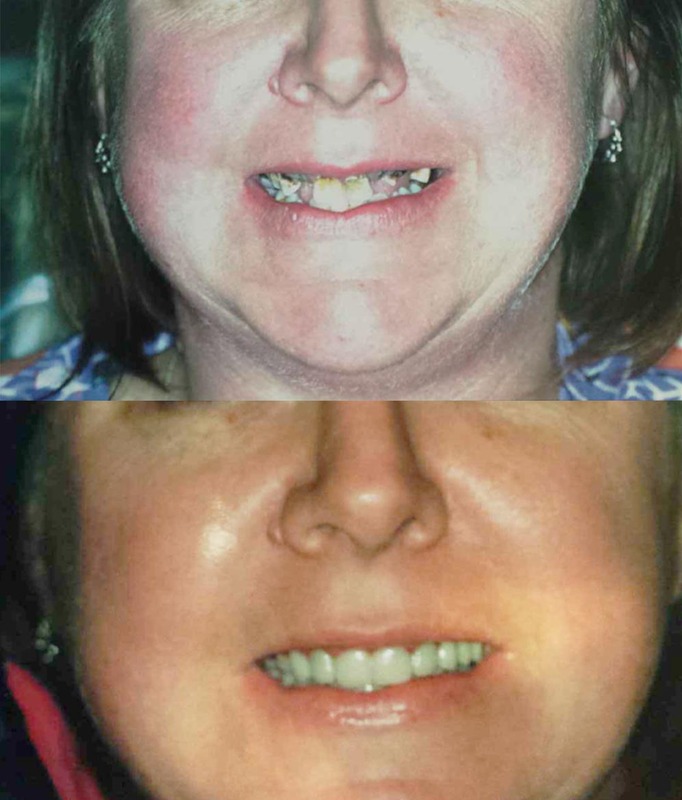 Throughout her procedure, Hamilton benefitted from Henritze Dental Group’s use of local labs, giving the practice the flexibility to treat her unique challenges. The lab work for Hamilton’s procedures was donated in part by Eric Kessler, Henritze Dental Group’s local lab partner. The combination of Henritze Dental Group’s patient-friendly approach and using local resources for lab work led to a great experience for Hamilton.